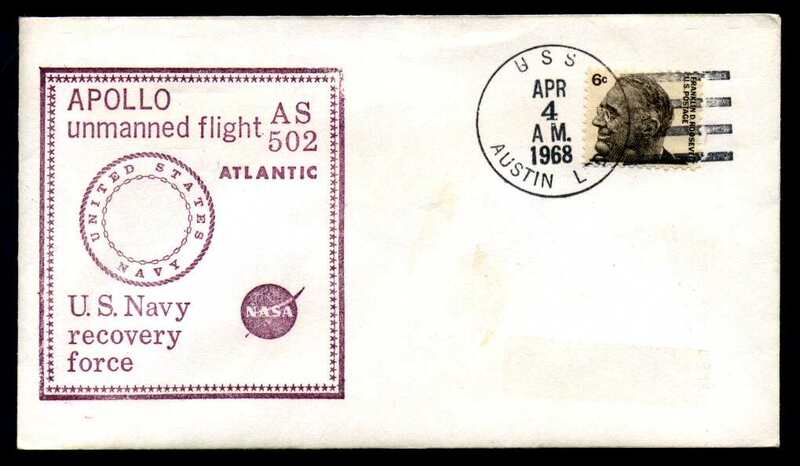 Added a new discovery from Tom Steiner, a USS Nimble cover from Gemini 4! First one I've seen. 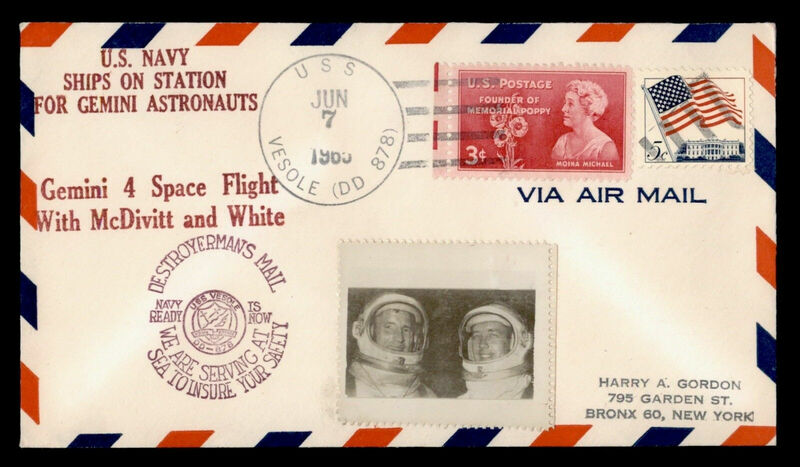 Also added USS Skill and USS Vesole (not involved) covers to Gemini 4 thanks to Tom. All with Harry Gordon cachets. 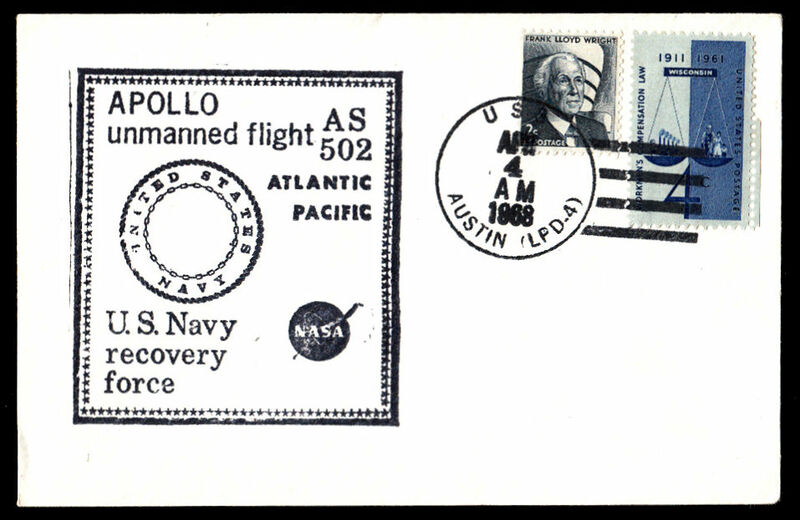 Added a newly discovered variety of Apollo 6 USS Austin postmark. All postmarks to date have a dot after the M in AM. Now one has been discovered without the dot. 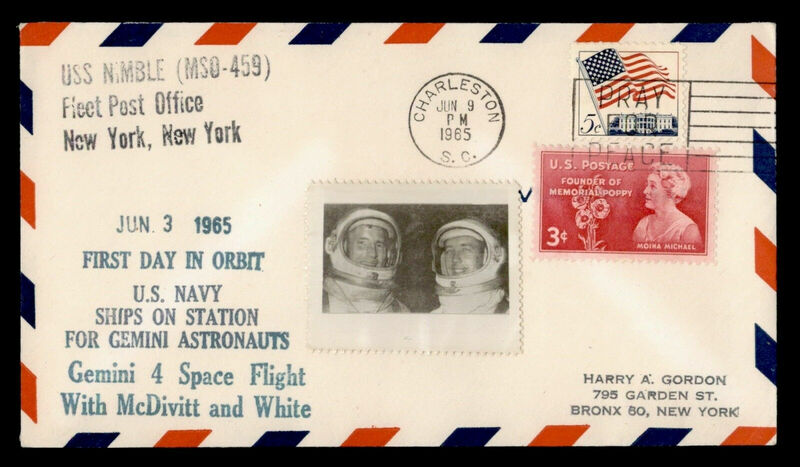 Note that since the ink on the postmark is heavy, it seems unlikely that the dot missed being inked. Look out for this variey and please let me know if you find an example. Added a reply from Tom Steiner to the possible fake Beck like cover. Also added lots of new stamps with more to come. WARNING - Added a section on fake covers. 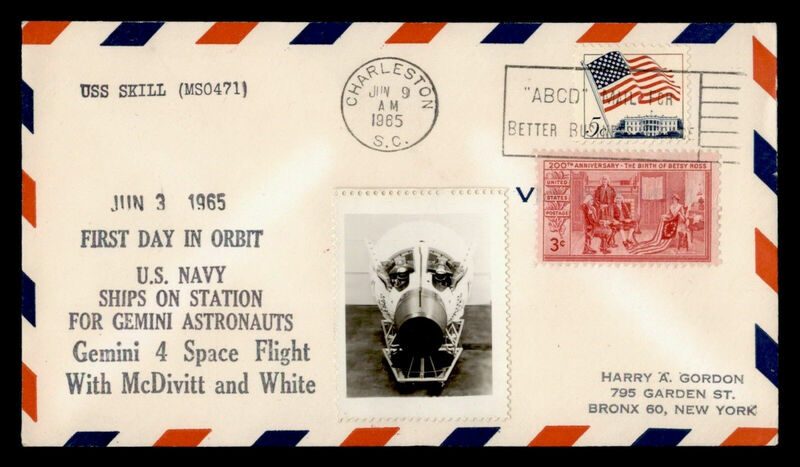 At present it only lists one recently discovered, and reported on collectSPACE, Beck like cover but over time I'll add others. A must read section.